Equinix’s International Business Exchange (IBX) facilities house data centers for more than 8,000 companies worldwide. IBX facilities offer the broadest geographic reach, the largest choice in networks and the most efficient connectivity options for companies looking to lease data center space. Equinix Hong Kong data centers are business hubs for more than 385 companies. Customers can choose from a broad range of network services from 85+ providers. They can also interconnect to customers and partners in their digital supply chain. 3 buildings totaling 224,000 square feet of colocation space, dense concentrations of enterprises, networks, IT and cloud service providers which supplies close proximity to connect with providers and end-users. 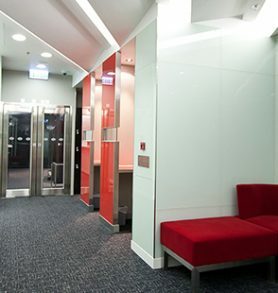 Equinix data centers is considered as one of the most carrier-dense network hubs in Hong Kong. Equinix IBX data centers offers the highest levels of operational reliability, 24 hours physical security, compliance standards and an uptime of 99.99999%. The IBX data centers are equipped with UPS power systems, back-up systems, N+1 redundancy etc. 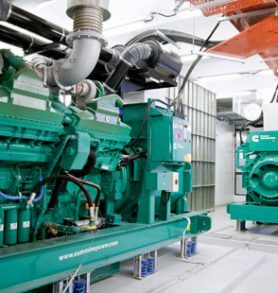 Its power systems are managed by some of the world’s foremost experts on power management engineering. Equinix helps customers configure data center installations to accommodate high-power requirements. 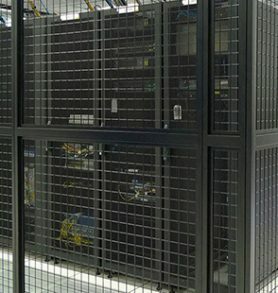 Each Equinix IBX data center utilizes an array of security equipment, techniques and procedures to control, monitor, and record access to the facility, including individual cages. Data centers offer 24-hour access to qualified technical support for ensuring the maintenance of customers’ mission-critical operations and equipment under any circumstances. 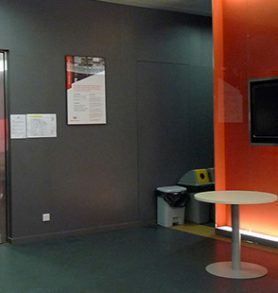 Equinix data centers got highly efficient chillers with redundancy to maintain the computer room environment. The cooling system may include variable frequency drives, chilled water pumps, centrifugal chillers, condenser pumps, external cooling towers, CRAC air-handling units in the colocation area and cold aisle containment. Water-cooled chillers as the primary N of cooling; air-cooled chillers as standby for failover. Thermal buffer tanks ensure continuous chilled water supply. N+1 Computer Room Air Conditioning (CRAC) units to control the temperature and humidity. Dual riser for power, chilled water and telecom cables. FM-200 / Novec gas based and pre-action sprinkler fire suppression system. Onsite fuel storage supports 24 hours of continuous operation plus refilling. Biometric readers, PIN & card readers, CCTV and recorders are installed in all common areas and 7x24x365 security officers ensure round-the-clock for onsite support. Each Equinix data center offer much more than just state-of-the-art carrier-neutral colocation space and carrier-dense interconnections. The experts also manage the cabling facilities to ensure sufficient space for fiber / copper connectivity for today and tomorrow. One of the most network-dense data centers in Hong Kong. It is the home of a thriving financial services ecosystem and offers business continuity trading rooms to protect and monitor trading operations for financial firms. HK1 has incorporated energy efficiency features such as granular temperature monitoring, cold aisle containment and optimized lighting control. 75,919 square feet and 12 kPA floor loading. Average power zone from 1.7 to 3.6 kVA per rack, diesel generators backup system. Laser-based detection, VESDA, double-interlock pre-action sprinkler fire suppression system. HK2 hosts a strong content and digital media ecosystem as well as a maturing cloud ecosystem. This data center has been designed to deliver exceptional energy efficiency and has been awarded LEED Gold Certification. 54,282 square feet and 15 kPA floor loading. Average power zone from 2 to 3.6 kVA per rack, diesel generators backup system. VESDA, smoke and heat detectors, FM-200 for fuel tank rooms fire suppression system. Home of thriving network and financial services ecosystems, HK3 offers business continuity trading rooms to protect and monitor trading operations for financial firms. A LEED Gold building, HK3 data center is designed to deliver exceptional energy efficiency and employs green features such as granular temperature monitoring, cold aisle containment and optimized lighting control. 93,708 square feet and 15 kPA floor loading. Average power zone from 2 to 4 kVA per rack, diesel generators backup system. Smoke detectors, FM-200 and pre-action sprinkler fire suppression system.